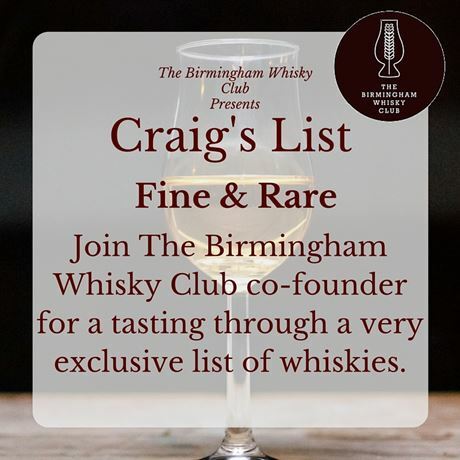 Join Craig Mills (whisky expert and co-founder of The Birmingham Whisky Club) for an unforgettable evening of hand-picked fabulously fine and really rare drams at The Wellington. We're releasing tickets early while he adventures far and wide (leaving no stone unturned) to bring you a selection never seen before. Early booking is recommended.